"Essays on Indian Philosophy", is the fourth book in the series of publication under the Bhagawan Mahaveer 2600lh Janma Kalyanak Mahotsav Endowment Fund, and it is the nineth publication of the Department of Jainology. The Department of Jainology was instituted at the University of Madras on 1983, on the occasion of the Post-Centenary Silver Jubilee Celebrations of the University with the donation of an endowment amount of Rupees Fifteen lakhs collected from members of all sects of Jaina community and others by the Research Foundation for Jainology Chennai - 600 079. The Endowment Department started functioning from 1985. In the year 2003, the Government of Tamilnadu gave its assent for this Department to be made as a full-fledged University Department along with other Endowment Departments of Saiva Siddhanta, Vaisnavism and Christian Studies. During October 2002, the Department submitted a Project proposal for funding the academic and administrative activities of the Department to the Bhagawan Mahaveer 2600th Janma Kalyanak Mahotsav Samiti, New Delhi, for financial assistance. The Mahotsav Samiti was gracious enough to recommend the same to the Government of India, and on the basis of the recommendation, the Government of India in April 2003 sanctioned Rupees Fifty Lakhs as corpus fund to the Department of Jainology, University of Madras. Under the auspices of this Bhagawan Mahaveer 2600th Janma Kalyanak Mahotsav Endowment fund, the Department is conducting various research and publication works from the academic year 2004-2005. The first book of this Endowment series titled 'Facets of Jainism' was published in January 2005 which is a compilation of 9 papers presneted in the seminar on Jainism in Tamilnadu. The second book titled 'Environmental Awareness in Jainism - lectures given by Dr. Geetha Ramanujam, Bangalore, in the Department was published in January 2006. 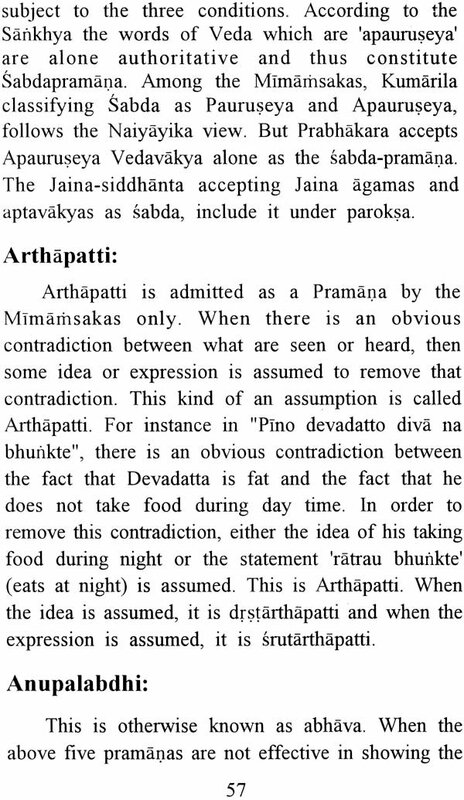 The third book titled Jaina Ethical works published in February 2006 is a collection of Seminar and Endjswment papers on Sravakacara and Muniacara works respectively. The present work 'Essays on Indian Philosophy' is a collection of Lectures given in the Department of Jainology in the month of February 1997 by erudite scholars from South and North India. The Annual Lectures were given by Dr. M. Sivakumaraswamy, Professor of Sanskrit (Retd.) University of Bangalore, Bangalore. This work is an addition to the already existing stock of works on Saddarsanas, but the additional points on the subject and the lucid presentation make it useful to the students of Indian philosophy. Lecture I begins with a general introduction followed by explanation of the term Darsana, classification of the Darsanas and the common fundamental points among the Darsanas concluding with a discussion on Carvaka. Lecture II covers the Sramana systems viz. Jainism and Buddhism and herein the author has dealt with different aspects of the above philosophies including Pramana. Lecture III briefly introduces the remaining systems other than Jainism and Buddhism and this is followed by a discussion on Pramana in different systems. The above three lectures presented in comparative light will serve the methodology of comparative approach in students and researchers. Part II of the book which carries two lectures on contribution of Jaina Logicians to Indian Epistemology were given by Dr. Dharamchand Jain under the auspices of Mahasati Tarabaiswamv Endowment Lectures. Dr. Jain is an Associate Professor of Sanskrit (jainology) in Jai Narian Vyas University, Jodhpur, Rajasthan. Lecture I of Part II is a brief survey of literary contribution of Jaina logicians from Acarya Umaswati to Haribhardrasuri and their successors like Akalanka, Vidyananda, Manikayanandin, Abhayadevasari, Hemachandra, and others. 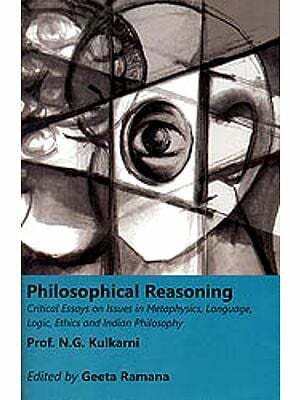 Lecture II is an appraisal of contribution to epistemological doctrines like Pramana, Prameya etc. The different components of Pramana in Jainism are analysed in detail. The non-absolutistic view of the Jainas enabled them to develop the above epistemological doctrines which are very useful to understand reality. The Department of Jainology is thankful to the Bhagawan Mahaveer 2600th Janma Kalyanak Mahotsav Samiti for recommending the grant of Rs. 50 Lakhs as corpus fund to the Department of Jainology and The Ministry of Tourism & Culture for having instituted the same in 2003. The above endowment fund has made this publication possible.